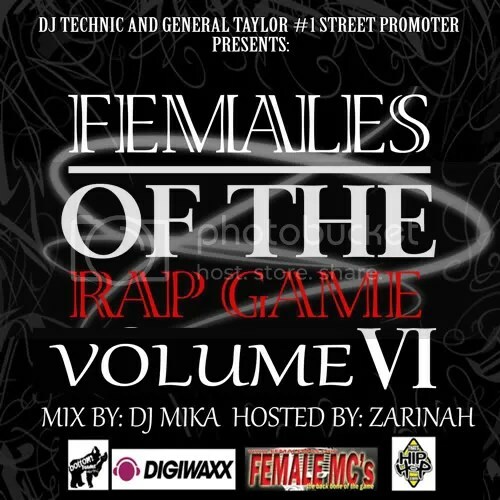 This entry was posted on December 7, 2010 at 7:35 and is filed under ANCA, ANGEL, Audra The Rapper, CHEVY BLUE, CHI CANDI, Female Mc's, Females of the Rap Game, FinessDaBoss, Free Mixtape, KAYTEE, KHARMA, KIM D, KRISTEN B, LADY DUET, Likwuid, LURE, MAMI MONTANNA, MS GOHAM, NIKKI McKNIGHT, RISKAY, Sheba Baby with tags ANCA, Audra The Rapper, CHEVY BLUE, CHI CANDI, FEMALES OF THE, FinessDaBoss, KHARMA, KIM D, MAMI MONTANNA, MS GOHAM, RAP GAME, RISKAY, Sheba Baby. You can follow any responses to this entry through the RSS 2.0 feed. You can leave a response, or trackback from your own site.